There has been a great deal of discussion in Sri Lanka recently about abolishing the Executive Presidency. 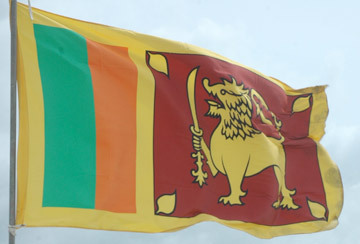 When the new Constitution was adopted during the presidency of J.R. Jayawardene, it created the Provincial System of governance and the position of the Executive President. Both have their inherent merits and flaws, many of which have been revealed as we have lived with the new system over time. Most people agree that many aspects of our present system need to be reviewed and ultimately fixed, but I contend that the fixing can only be done at the right time. This is simply the way life works: to attempt a fix at the wrong time – even if it is for the right reasons – will only produce wrong results. I can point out three very critical reasons why this is not the right time to abolish the Executive Presidency. The first reason is that Sri Lanka has not yet reached a point of full stability since the LTTE terrorists were defeated in 2009. We are on the right path in terms of reunifying the country; we are on the right path in terms of rebuilding our economy. We are on the right path in terms of rebuilding and modernising our country's infrastructure and we are on the right path in terms of growing into an era of personal freedom and opportunity for all citizens. Being on the right path, however, does not mean that we are not still in a very fragile place on this path. At this crucial moment in our country's evolution we need a strong leader who can unify all of the elements at play in our unique rebuilding process. To take away the strong leadership provided by the Executive Presidency will only make us more vulnerable to a host of negative influences – internal and external. Don't forget that only the Executive President can say “no,” much in the same way the President of the United States can exercise his veto powers when deemed necessary. The second reason that this is not the right time to abolish the Executive Presidency is that the both the TNA and the Muslim Congress are not yet willing to commit fully to our one country/one nation policy. Both of these political entities still wish to create separate ethnic states or districts or countries-within-countries, which will completely undermine the progress we have made towards national unity in the last eight years. Until these ethnically-identified entities are willing to put aside their ethnic egos, with their ethno-centric, separatist demands for land of their own, we are not in any position to relieve ourselves of the unifying element of the Executive Presidency. The last thing we need in Sri Lanka right now is another separatist movement for independence. Such a move was recently defeated in Scotland and it seems that the Catalans will remain with Spain and the people of Quebec will still have to call themselves Canadians. In an age of globalisation, the idea of carving up big countries to create lots of small ones seems absurd; it is certainly not the trend, if we are to observe the debacle in the Ukraine. If anything, we need to strengthen our global alliances in all directions, but we can only do this if we remain strong as one united Sri Lanka – and at least for now, united behind our Executive President. The third reason we need to keep the Executive Presidency – at least for this moment in time – is to protect our land from foreign interference, a recurring problem we have dealt with for centuries; one that we should never forget or underestimate. It is only a strong, competent and diplomatic leader who can stand up to threatening overseas powers and navigate the treacherous waters of hidden agendas and grand foreign designs that have plagued us for many generations. A weak Head of State would make us vulnerable to any country that takes a liking to us, and there are many reasons to like us or want to dominate us. A movement led by two Sangha members has created a coalition of many disparate political parties to introduce a so-called common candidate to run against our present president in the upcoming elections. Even if the common candidate won the election, he would still face a two-thirds majority against him in Parliament. A situation like this does not make a strong leader; it only guarantees his failure – at home, and on the international scene as well. I feel obliged to point out here that there are certain elements in our present Constitution that need to be changed. The most prominent one that comes to my mind is the system of provincial parliamentary elections, which was established in Jayawardene's constitution. This is a system that has each party's candidates come from 'at large' in each Province – instead of having each candidate represent a smaller electoral district. This very flawed system sets the stage for corruption, party in-fighting, negative campaigning, fiscal waste and a situation where 'may the richest man win' prevails. I would like this changed back to the way it was before, where the smaller electoral districts elect the candidate that truly represents the needs and desires of the people that live in those smaller districts. A candidate from an electoral district of 35,000 people, for example, should not be expected to compete for the votes of an entire Province of one million people. This is a tempting recipe that leads to disaster, and we are experiencing this disaster today. There are other parts of our present Constitution that stand revisiting, and possibly revising. The best and most responsible way to do this is for all of the parties concerned to bring their views to the central government, make their case in Parliament and come up with better solutions that work for the good of all citizens – on every level. I stand fully behind constitutional reform, because I realise that rules were made for a particular time and for particular reasons that were relevant to that time. Rules, realistically, were made to serve people, and were meant to be examined and changed when they have served their purpose and might be out of date. The Buddha talked a lot about timing in his Discourses. Even the Eightfold Path element of Right Speech emphasises this important point. The Buddha's explanation of Dependent Origination clearly outlines how conditions need to arise – and others pass away – before anything comes into being (or stops being). In an impermanent universe where the only constant in change, for anything to work successfully it has to arise and come into being at the right place at the right time. The Executive Presidency has arisen for our time, and it is useful for the conditions of our time. When it is no longer useful, and the conditions of today have passed away into the conditions of the future, then it can be changed – or even abolished, if it is appropriate for that time. Until then, we need to work within our laws to keep our country together as one, and steady on its path of progress. Let's not 'jump the gun' and abolish something that has brought us from the jaws of civil war to the gates of safety, prosperity and freedom. Only time and the conditions of time can dictate if or when the Executive Presidency will cease to be.